Home»All»Mia’s Table $20 Giftcard Giveaway! Mia’s Table $20 Giftcard Giveaway! BigKidSmallCity has another giveaway! This week, we have a $20 giftcard to Mia’s Table! Did you see Juliette’s review of Mia’s? If not, go HERE! It’s a great place to take the kids. 3. Leave a comment on THIS POST telling us your favorite restaurant in Houston. On July 26, 2013 I will randomly select 1 winner using RANDOM.org. Good luck! Listening Vessels in Discovery Green - Unique Things to Do in Houston! My fave restaurant is Chickfila Sawyer Heights. Every other Monday, they have family themed night. Today is ” Under the Sea”. I love Mia's but Carraba's is another favorite. Benihana and Chacho’s (shrimp nachos)! Corelli's (Westheimer and Chimney Rock) Every time we go the staff are really nice with my lil'one. Nelore is my favorite, but I’ll admit I like it better without the kiddos, lol! Although kids 5 and under eat free there…. With kids – Barnabys or Mission Burrito, no kids – Dolce Vita! Romano’s Pizza — their spaghetti ROCKS! Carraba's is a favorite, but would love to try Mia's. I would love to try Mia’s, but my favorite is Olive Garden!!! I love so many, but Goode Seafood is a favorite. I am so glad I fell upon this site. I love MIA’S! I am looking forward to trying this fun Houston events! The family favorite is Escalante’s on Woodway/Voss! Love Mia’s! But also Samurai, Dumpling King, Yao’s! 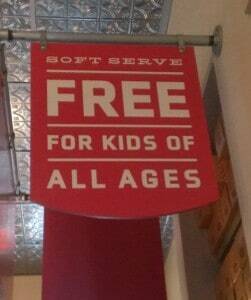 Wolfies is a favorite for my family and I.
Freebirds is my favorite when kids eat free!